Koreatown has one of the highest DUI arrest numbers in Los Angeles, according to data from the Los Angeles Police Department. The Olympic division, which includes Koreatown, has the second-most DUI arrests — behind North Hollywood — in the city, with a 10 percent rise in DUI cases since last year. 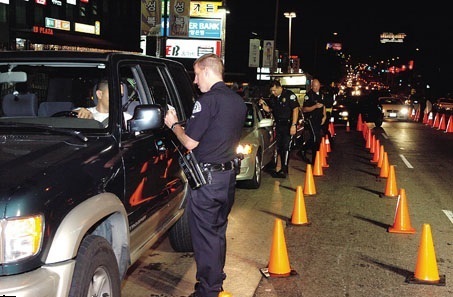 A total of 1,995 DUI arrests, 63 DUI-related accidents and 17 DUI-related deaths occurred between Jan. 1 to Oct. 24, according to records from LAPD Central, West, Valley and South traffic divisions. The Olympic division saw 126 DUI arrests in that period, but no accidents or deaths related to DUIs. DUI arrests by division were as follows: North Hollywood (143), Olympic (126), Mission (122), Pacific (118), Topanga (113), Wilshire (112), 77th (107), Van Nuys (106), West Valley (105) and Devonshire (104).